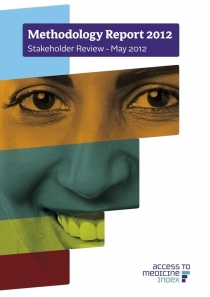 Stakeholder Review describing the methodology for the 2012 Access to Medicine Index and how it was developed. The report includes a set of ambitious, yet achievable expectations for company behaviour in each area measured by the Index. The Index team, based on consultations with the industry and various civil society organisations, and in conjunction with the Expert Review Committee and Technical Subcommittees, has undertaken a review of the methodology for Index 2012. This multistakeholder consultative approach took place during 2011. It has enabled the Index team to make refinements that strive to capture the changing realities of the global health community, including the pharmaceutical industry and, most importantly, those in less affluent nations who suffer from diseases for which access to medicines is often problematic.